Finding affordable electrical service for a large-scale remodeling job isn’t always easy. Remodeling of older homes and structures often requires a great deal of work, including the removal of wiring and replacement with code-approved new systems. Yet, with the help of the right professional, it is possible to get the updated electrical system a home needs without the frustrations and costs that tend to go with the process. Every home is different. If your home is older, the amount of work necessary to completely upgrade the electrical system can be significant. Older homes, such as those more than 40 years of age, tend to be at the highest risk for needing significant remodels. However, most homes don’t require such complete tear-outs and may be more affordable to repair. 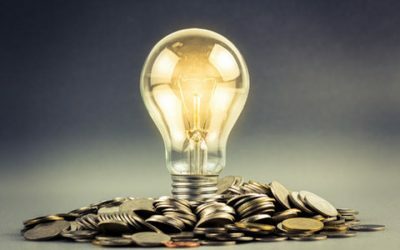 What Causes High Electrical Service Costs? When you work with an electrical service contractor, the first goal will always be to learn what the underlying cause of the problem is. From this point, you can find an affordable electrical service provider that can get the job done within your budget. Not every project is going to be cheap, but finding an affordable electrical service is possible in most cases. The goal is going to be the same throughout any situation. One step to take is to divide the project up and over time. This may help to reduce the costs out of pocket all at once. In addition, you may want to talk about what’s really needed compared to what can be put off. If you can get immediately necessary work done right away, it may cost you less right now. Because of city codes and age, many buildings will require more extensive remodeling. Just adjusting a wire on an older system can cause it to break, putting the insulation at risk of catching on fire. You may not be able to forgo these types of repairs. What you can do is to hire the right electrician for the job. Ensure they have experience and are willing to work with you as much as possible on the project pricing. Finding affordable electrical service for remodeling projects should never be at the sacrifice of quality work since this can put your home and family at risk (not to mention, it can mean starting all over with new repairs). With the help of an experienced electrician that’s licensed, it’s a better idea to work on the project over time. Let our team of experts at Bryan Electric, Inc. help you with your next project. Get in touch with us today for an estimate on affordable electrical service.